Galileo Galilei lived almost simultaneously with glassmaker and alchemist Antonio Neri. Both were employed by the Medici royal court in Tuscany and both spent considerable time in Florence and Pisa. In Neri's case, possibly also in the Venito and Rome. No direct contact is known to have occurred between the glassmaker and the astronomer, but their paths did cross many times, orbiting like two celestial bodies in the cosmos - albeit one with a bit more gravitas than the other. 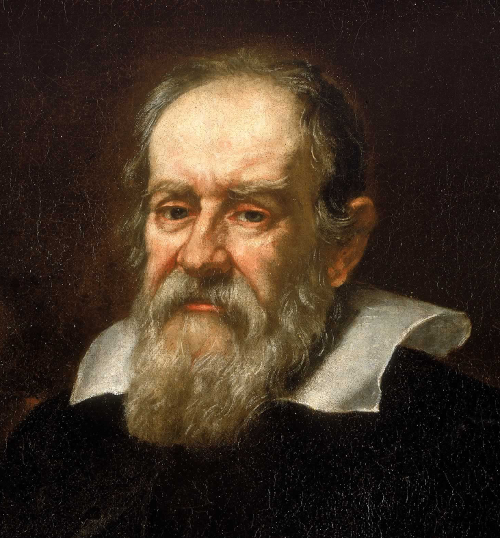 As a youth, Galileo was taught at the Cestello monastery by court mathematician Ostilio Ricci. This was around 1580 when Galileo was sixteen, and Neri was a four year old toddler, living only a block away and attending the Cestello church with his family. Neri's father and grandfather had just been granted citizen status, already well known for their medical prowess, and his father served on the board of the artist's guild based at Cestello. Galileo would go on to become good personal friends with Prince Don Antonio de' Medici, Neri's sponsor. Later, the astronomer would have telescope tubes made by Jacopo Ligozzi, a regular at the Casino di San Marco, where Neri worked as an alchemist and took his first steps into the craft of glassmaking. As Galileo started to experiment with lenses, Neri was leaving Italy for Antwerp and would be absent for seven years. Meanwhile Galileo landed a job at the Florentine court as mathematics tutor to Grand Duke Ferdinando's son, Cosimo II. Both Galileo and Neri worked hard for their achievements. In the hindsight of history, innovations are often romanticized into shining moments of inspiration, forgetting the painstaking effort and dogged persistence required to bring those ideas to fruition. For his telescopes, Galileo encountered tremendous difficulty both in the production of suitable glass and in grinding that glass into usable lenses. His celestial observations included sunspots, lunar craters and the planet Jupiter with its moons, which he named "Medicea Sideria" after his Medici benefactors. As these revelations became known, there was a clamor of orders for telescopes from princes throughout Europe and Galileo struggled to keep up. He maintained a circle of trusted craftsmen on Murano in Venice, and elsewhere, but still, the majority of output was unusable. Initially, he had reasonable success grinding and polishing broken pieces of mirrors. In early 1610, Galileo held a demonstration in Pisa for his former pupil, Grand Duke Cosimo II. A short time later, the grand duke ordered that a special batch of glass be made for Galileo by Niccolò Sisti, for whom Antonio Neri had worked just a few years earlier. At the time, Neri himself was still in Antwerp and would not return until the following year. Neri returned to Tuscany and wrote his book on glassmaking, L'Arte Vetraria, but then turned his attention to other pursuits. This, just as Galileo's quest for high quality glass to make his lenses took off in earnest. Neri’s final manuscript places him in Pisa working on alchemical recipes. There was no more optimal moment for the two men to meet; both were working in Pisa, both knew Niccolò Sisti, Neri had just published his book and the astronomer was becoming desperate for clear flawless glass. If such a meeting ever occurred, it has not been recorded, and shortly thereafter, in 1614, Neri died of an unspecified illness. On 20 December of that same year, four days before Christmas, Tommaso Caccini, Neri's childhood next-door neighbor, delivered a scathing denouncement of Galileo from the pulpit of Santa Maria Novella church. While the sermon earned Caccini a reprimand, and was an embarrassment to his family, it did also serve as a start to Galileo's troubles with the inquisition. 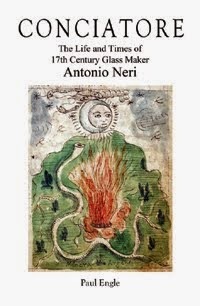 While Antonio Neri may have never encountered the astronomer, shortly after the time of the priest’s death, the astronomer acquired Neri's book on glassmaking. One copy was sent to Rome, to Federico Cesi, founder of the Accademia dei Lincei, a scientific society to which Galileo belonged, and another copy was saved for the astronomer's personal library. Galileo continued his quest for flawless glass and in his correspondence he takes on the same obsession with purity of ingredients that Neri exhibits throughout his book. * This post first appeared here in a slightly different form on 18 Novenber 2013.